Nitesh is a tech-geek with a background in Information and Communication Technology (ICT) with emphasis on computing and design research. 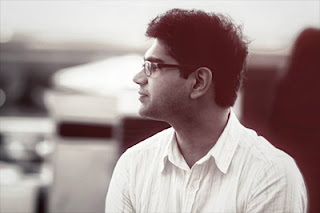 He worked with Infosys Design as a User Experience designer, and is currently a doctoral scholar at the Indian Institute of Science, Bangalore. His research interests include Visual Computing, Digital Human Modeling and Applied Ergonomics. He delights in exploring different programming languages, computing platforms, and embedded systems etc, and is a founder of several social media startups. In his leisure time, he is an avid photography and art enthusiast, maintaining a compendium of his creative works through his blog Dangling-Thoughts. (http://www.dangling-thoughts.com).